This comprehensive class will give you a certificate that will allow you to apply for your concealed carry permit and much, much more. To register: Call and leave us a message at 850-597-7550. We offer scenario-based virtual reality training with simulated weapons as well as live fire exercises on the range – the most informative instruction in the region. 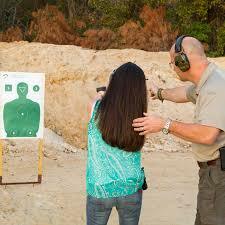 Our instructors explain the statutes that govern use of force and concealed carry in detail and in laymen’s terms. We also talk about and demonstrate concealed carry techniques and holsters. We provide, hearing protection, eye protection, ammunition and firearms, although you are also welcome to bring your own firearm. Please wear a belt to facilitate wearing a holster, as well as close-toed shoes and shirts with sleeves. Classroom registration starts at 8:30 a.m. and runs until approximately 5 p.m. with lunch provided.